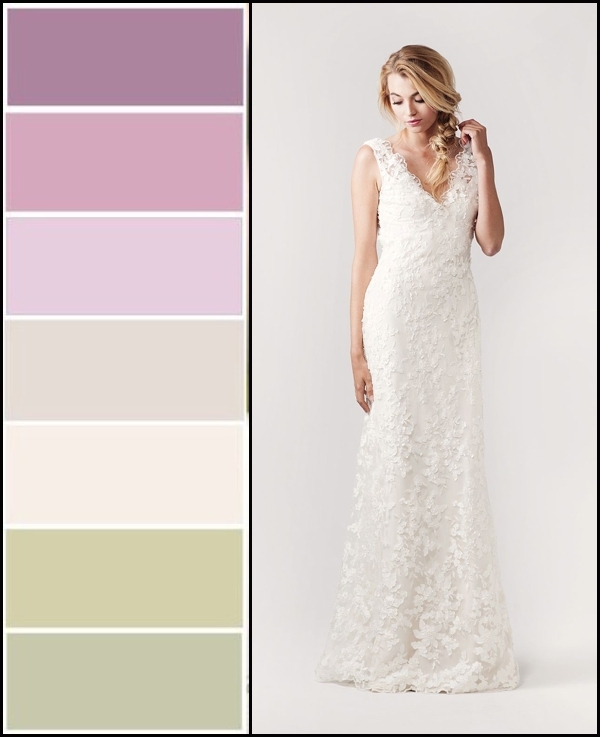 We’re inspired lately by this color combo and think it could create an amazing palette for a wedding! 2015 is definitely the year for lavender and a light green sage compliments it perfectly. Imagine a late spring or early summer garden wedding or a romantic barn backdrop. Cool color surroundings are known to feel calm and serene, not to mention they flatter lots of skin tones! Here are some ways we would style this pretty color combo! 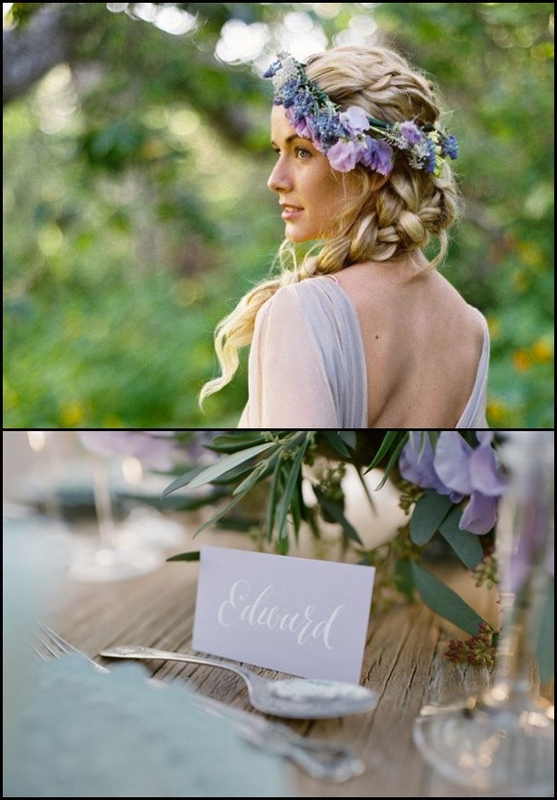 We love the idea of mixing purple tones for your bridesmaids, plus each of them get to feel special in their own gown! 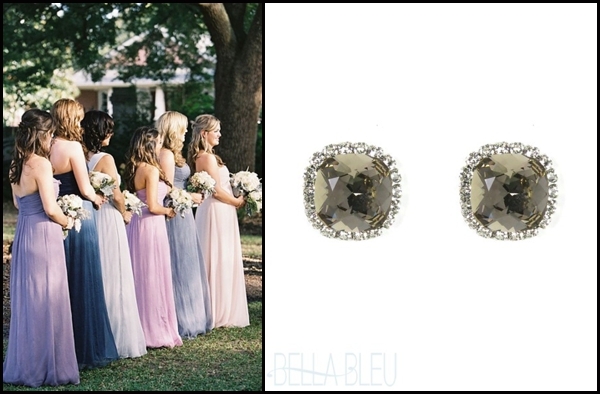 These Haute Bride studs in Greige are perfect Bridesmaids gifts and they can wear them on the big day! This whimsical flower crown in the same shades would look perfect on the bride with this v-neck beaded beauty from Sarah Janks. The flower and cake options are endless and you could actually incorporate earthy herbs and spices. 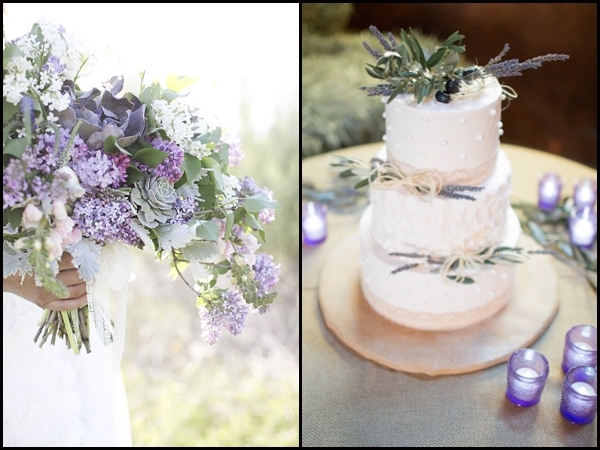 If you’re not sure what colors you’re going to use for your big day, definitely consider lavender and sage!